Parsoli Corporation Ltd , a public ltd company with a market cap of USD 25M(15th May 2007), is positioning itself as a one stop destination for the Indian muslim community to provide investment guidance based on Shariah laws. For example a user could search for the "Zee" stock on the website. 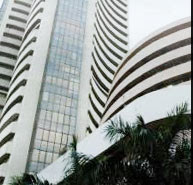 The results show that although Zee news is compliant with Shariah laws , Zee Entertainment Enterprises is not and the results will state the reason for non compliance.I think this is a great start for millions of Indian muslims and muslims worldwide who are looking to invest in the Indian Stock Market based on Islamic law.